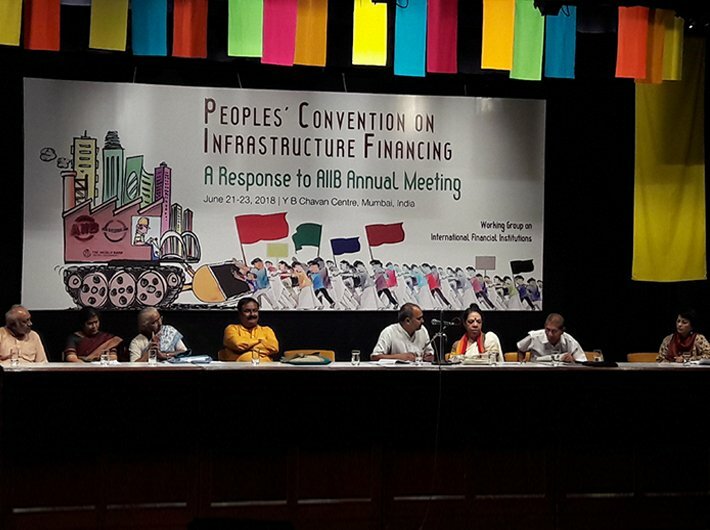 Questioning the development model pushed ahead for profit oriented growth, social and political activists, academicians, financial analysts and civil society organisations are holding a three day confluence of Peoples’ Convention on Infrastructure Financing in Mumbai. The meet was organised ahead of the annual meeting of Asian Infrastructure Investment Bank (AIIB), to hold AIIB and other international financial institutions accountable for causing displacement, dispossession, loss of livelihood, causing inequality and social unrest due to development. Economist and Professor Dr Arun Kumar said that contrary to the government’s claims of 7% economic growth, the actual growth is only 1%. “The unorganised sector has been hit badly by demonetisation and GST. About 93% people work in unorganised sector where the output is 45%. As against this, there is 55% output from organised sector. With the negative impact of 45% output from unorganised sector it implies that today the rate of growth is less than 1% against the government claims of 6.5% to 7%,” he said. He also said that contrary to the government claims that digitalization is formalising the economy, digitization has hit the unorganised sector even further. “What good is the formalisation if jobs remain in unorganised sector,” he asked. “There would not be an upsurge of a large population of farmers, traders, unemployed youth, Dalits and minorities if the economy was growing. Even the business community is suffering,” he said . “Capitalism has widened economic disparities dramatically. Marketization is changing things rapidly and marginalizing democratic institutions. Consumerism is the new opium of masses. Technology has become the big disruptor and displacing a large no of jobs. Self- driven cars and vehicles and artificial intelligence on anvil in the next five to ten years will displace a large number of jobs. We are being led by that,” he said. 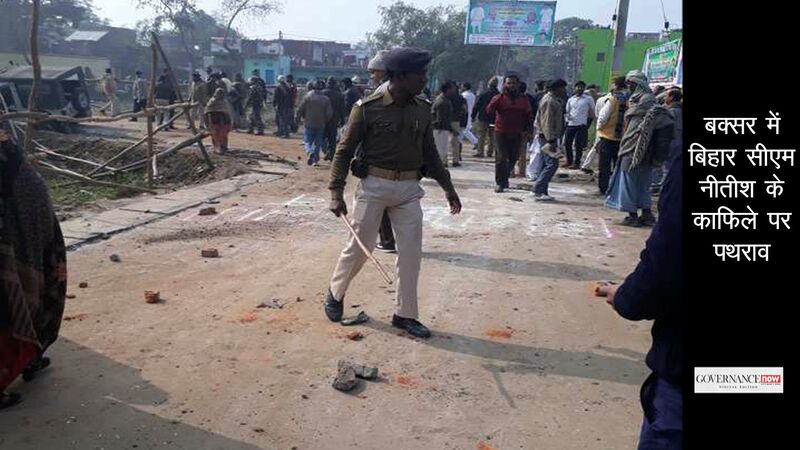 Journalist Sucheta Dalal said that irrespective of the government in power all have been pro capitalism, anti-people and done damage in the name of economic liberalism. She said that since 2008 money was indiscriminately given by nationalised banks to industrialists as loans. These industries faced manifold problems, the projects did not start and cases landed in courts. She added that the government writes off rupees 2.4 lakh crore of big corporate loans but any proposal to write off farmers loans creates a hue and cry in the country.” It is not correct to blame banks as when demonetisation was announced 10 public sector banks did not even have a managing director or a CEO. She also added that from the very beginning the entire focus of Aadhaar was to bring it to the stock market and banks. “When Aadhaar is fully implemented there will be a fee for every authentication. Despite the government pushing digital transaction it levies a charge’ she said. Social Activist Ulka Mahajan said the government has no money for setting up health centres, school buildings, pucca roads and canals in villages. “The social sector spending is going down in Maharashtra. We made a request for making available Rs 26,000 crores for social sector but the request was turned down by the finance secretary. The government will rather spend Rs 42000 crores for Mumbai Nagpur Expressway which only saves 24 km as compared to existing highway,” she said. She questioned if various industrial corridors that will occupy 40% of the nation’s space will provide as much employment to people who will be rendered jobless due to such development. Mahajan criticised the government for doing away with the PESA (The Provisions of the Panchayats Extension to Scheduled Areas) Act, 1960, for land acquisition and said it was violating the constitution. 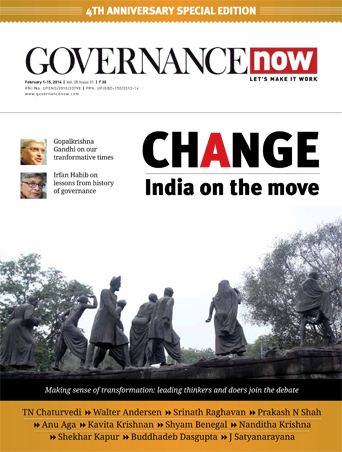 “Laws related to labour, environment protection, are being manipulated and it is being ensured that local self- government institutions and democratically elected institutions do not interfere with the government’s model of development. The govt for denying data under RTI in the name of protecting business interests but making available the same to international companies,” she said. “AIIB has created a superstructure, an ecosystem which acts as a complex web of shining terminologies and projects to attract investments which actually is a smoke screen to hide the fact that there’s no human development happening. Most of the infrastructural projects like highways and expressways are being proposed to benefit car manufacturing companies,” said social activist Medha Patkar.